Just recently, I went to several Philippine islands for a short spring jaunt. I wasn’t really even planning to go to the beach because my mind was conditioned to do a hike… but who could resist the sparkling sunshine and sea breeze on the beach? So instead of traveling to central China, I flew to Asia’s capital of fun (that’s Manila, in case you didn’t know! ), and there I swam with whale sharks and did snorkeling and kayaking in a less-touristy lagoon (more about that in my upcoming article). Anyway, I went to Decathlon and Miniso a few days before my trip and bought several items which would prove to be very useful in my island adventure. This was the best buy I’ve had so far at Decathlon. 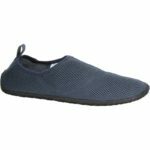 These lightweight aqua shoes can double as flip-flops or walking shoes when you just want to stroll on the beach. What’s nice is that the rubber soles, despite being thin, are quite strong and slip-proof. They would really help when you walk on a stony beach floor. They’re also handy when you’re snorkeling, but let me remind you that as much as possible, don’t step on corals. READ MORE: What Items Do You Need for Your Travel First Aid Kit? When you go island hopping, better have your essentials dry and usable. A tote bag can work but there will be times that you need to jump from the boat (which happened to me a lot during my trip). 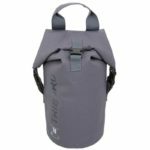 Luckily I have a waterproof duffel bag that can store a bottle of water, beach towel, phones and other small gadgets, and my travel first aid kit. You can also use this bag as a pillow! Inside the bag, you can use ziplock bags to store your sunscreens to prevent accidental spilling. As a travel writer, I always make sure that my phone is ready to take quick snapshots of what’s happening around me. 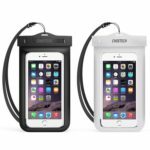 Of course, being underwater is not a big deal, thanks to this waterproof smartphone case. It’s really effective and the only instance that my phone gets wet is when I remove it from the case after swimming. Make sure that the case fits enough to your phone; otherwise you need to press the plastic a little bit against the camera so your photos or videos don’t get blurred or defocused. If you’re into diving, level it up and get a bulkier smartphone case. Just remember to attach the case to a quick-dry lanyard so that you can easily fasten it to your hand. Whenever you feel sticky, or when you’re ready to eat lunch, or when you just want to clean up stuff, these wet wipes/tissues come in very handy. Wait, where are the other essentials? 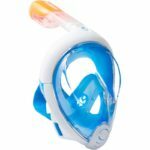 The other essentials like health kits that include sunscreens and medication; towels and clothes; and accessories like hats, sunglasses, and flip-flops, are really a given when you go swimming. 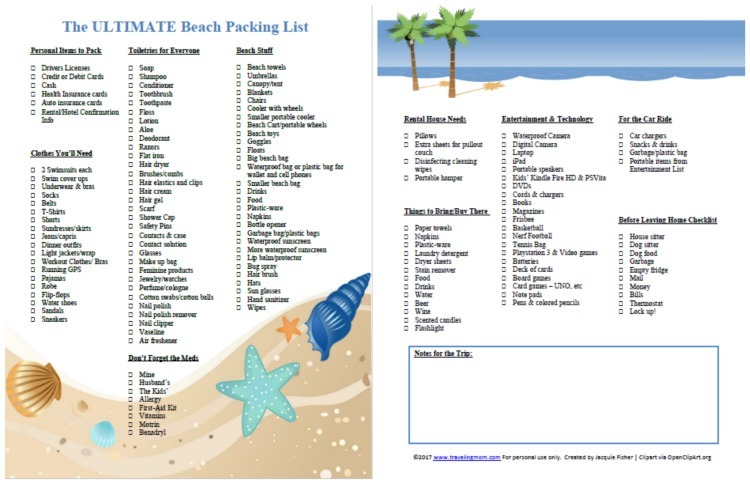 But it helps to have a checklist of other beach items that you can get easily from your home, just like the one I saw from Travelingmom.com (see below or download the list here), especially when you have limited preparation time before your swimming adventure. Meanwhile, you can bring beach toys like sand tools and pails from China — but hey, you can rent or buy them in local stores. One thing that I’d really say is an essential is to always bring a plastic bag. You DON’T need to buy a new one; just recycle whatever you get from local stores. If you see a biodegradable bag, then all the better. After swimming, you can put your soiled beach attire in the bag while you’re on the way to your hotel. Hang those bags dry afterward and reuse them when you want to buy a souvenir. Then when you’re ready to leave the beach, reuse the bags to compartmentalize your items in your luggage.